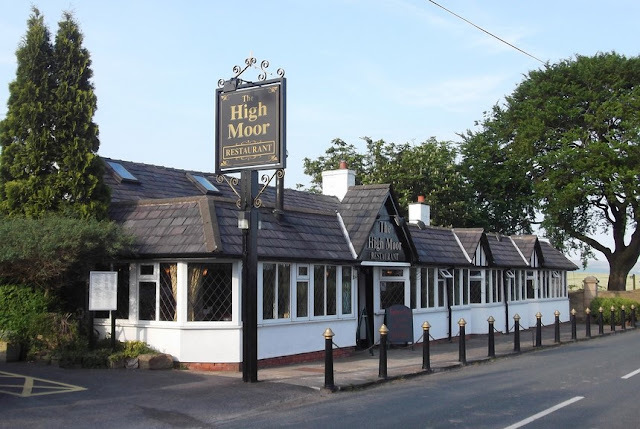 The website for the High Moor restaurant confirms that this was an old coaching inn dating back to the late 1600's. 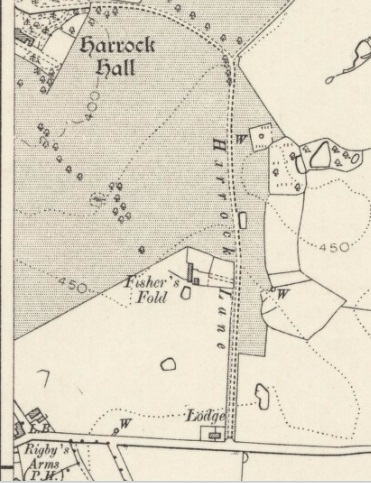 Its location at the junction of High Moor Lane and entrance to Harrock Lane, the private road to Harrock Hall would suggest that this was once the lodge/gate house for the main hall and may indeed have been used as a coaching inn for visitors to the hall. 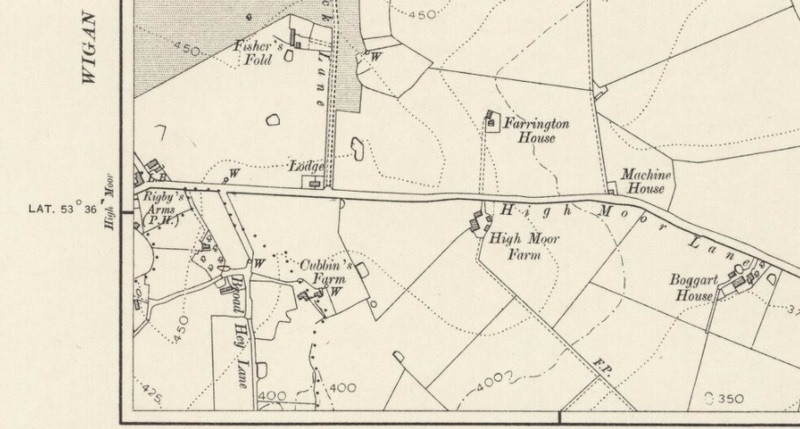 The maps further down confirm it was a lodge and by cross-referencing the directories and census records the occupants of the property not only were beer sellers, but also farmers of a modest area to the north of High Moor Lane up to Fisher's Fold. 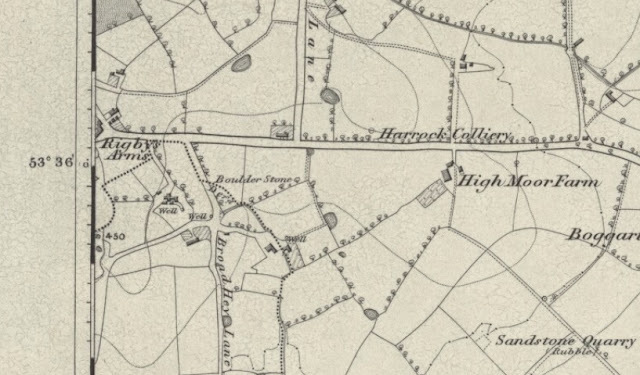 The coincidence of the naming of the fold becomes clear on the 1841 census when Richard Fisher is recorded as a beer seller at this location. In 1851 Richard Fisher was still in residence, the property being adjacent to the Rigbye Arms on the enumerator's route along High Moor. 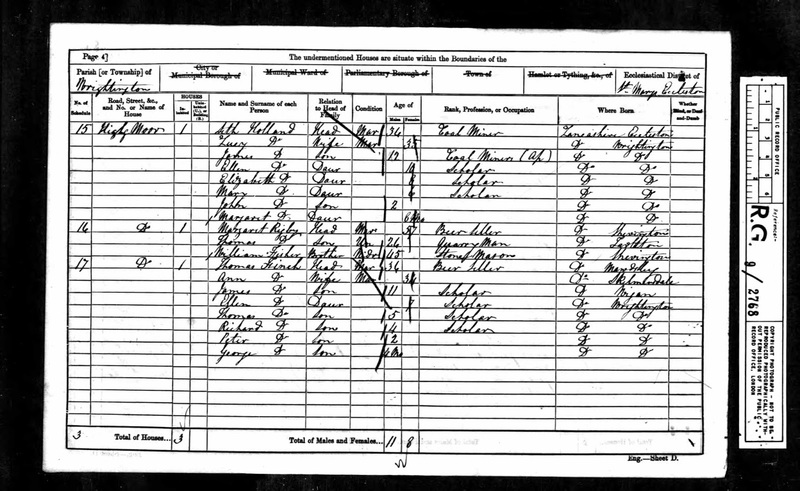 The next tenants were the Finch family, who were also farmers as the baptismal record for Peter Finch in 1859 shows. 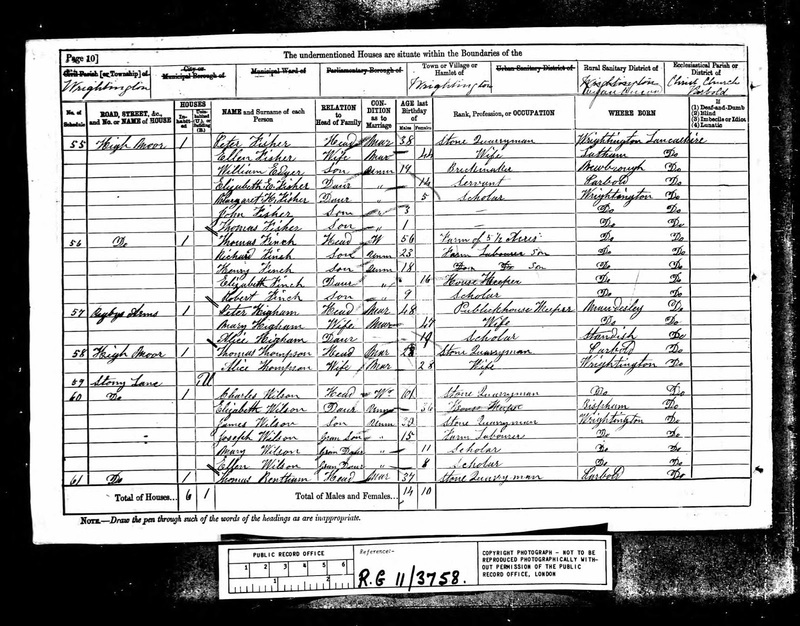 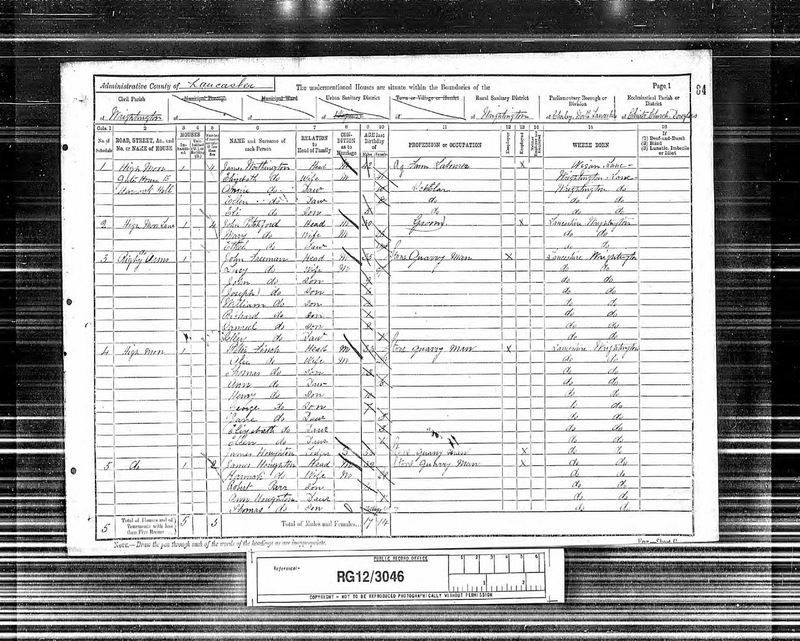 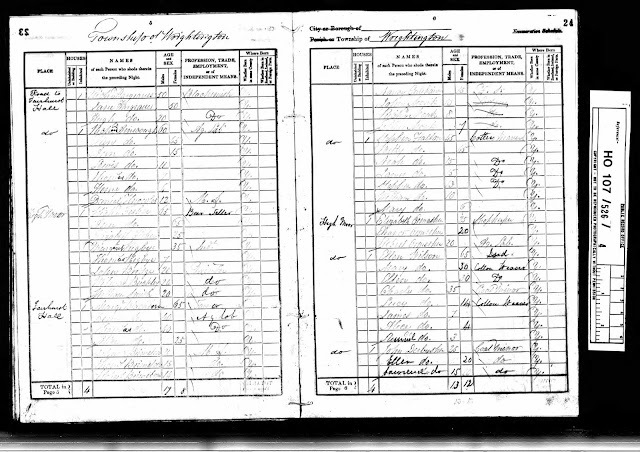 Peter's father Thomas Finch is recorded below on the 1861 census as a beer seller. The list below is taken from 1869 Directory of Wrightington and confirms that Thomas was still in the trade at that time, and indeed for the next couple of decades. 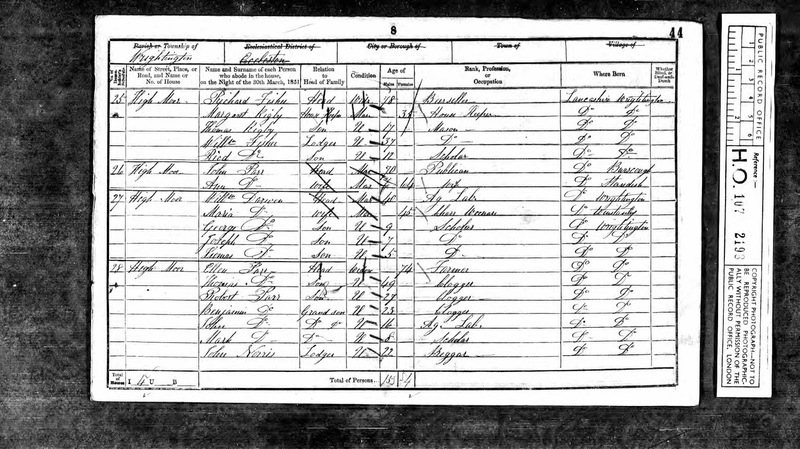 Further reference is found to the Finches in the parish records of St James' Church when Thomas's son Peter married Alice Butler in 1877. Again, Thomas is recorded with a profession of farmer on this occasion. 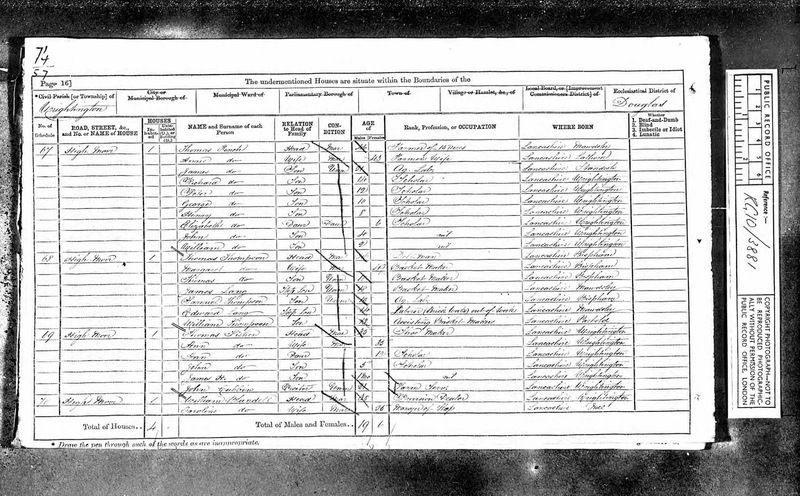 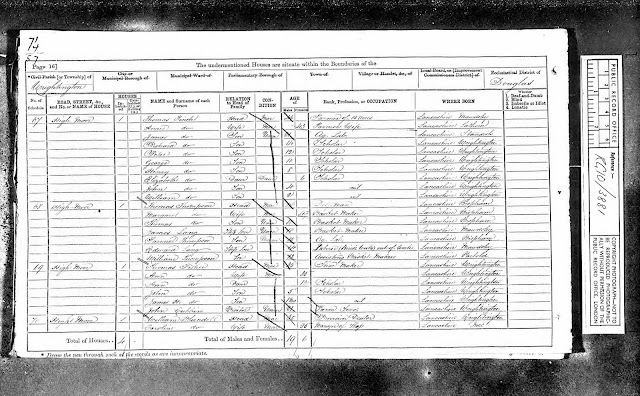 By the 1891 census Peter and Alice had moved into the property and he was working locally as a quarryman. It isn't possible to say whether or not he was also running the beer house at this time but ten years later they had moved on and there is no further reference to the Inn.